Here we will share some of the key things we have learned from running an online competition. What didn't work? What did work? What are our key learnings? Hopefully, you will gain some valuable tips so your online competitions will be amazing! "We thought it would go nuts and that loads of people would enter, but so far, they haven't. We thought the chance to win a trip to Ireland would get everyone dancing a jig and creating a funny limerick straight away." When there is such a great prize on offer, it seems surprising that people would not enter once viewing the promotion. However, people are often in the middle of another task and can't drop what they are doing. This is something to keep in mind, especially if the competition requires entrants to go through more than one step to participate. Key learning: Next time we would make it even easier to enter! With one major prize, there is a psychological barrier that people have - believing that they couldn't possibly win. Key learning: We would have one major prize, but many smaller prizes. Really, we did! Apart from a lot of online activity, we also sent out posters to our community so they could place them in their venues and get their teams hyped about the competition. This task alone took some time, so we would recommend as part of the planning, to estimate the time each activity will take and what resources you have to complete them. Key learning: To estimate the time for all activities and tweak them to be undertaken accordingly. We would recommend getting a complete stranger (or many) to read your competition and go through the full entry process to see if the instructions are super clear. Sometimes, what you think makes sense, isn't 100% clear to others. Key learning: To do this at the very beginning of the planning process. Then do it again after, to check it all made sense. We would also reiterate the steps in all correspondence to reinforce them. Before doing any business activity, it is important to define what you think success looks like. Running an online competition is no different. Define how many people you would like to see entering the competition, how many people you want engaging with various landing pages and which social channels you are directing people to. It's also a good idea here to have some metrics in place, so you can track it along the way. Finding the right balance of ensuring enough people are aware of your competition, regular encouragement to enter before the competition closes and then not over-doing it was important. A heavy focus across all social media channels and direct messages to our customers helped throughout the whole campaign. Although the number of entries has been fairly low, the competition has created a great amount of awareness within our community on how we support the hospitality industry with online training. Not only do we provide hundreds of videos that help people upskill, businesses can add their own custom hospitality training videos that are specific to them and schedule staff to watch it. Anything we can do to help the hospitality industry, we view as a plus! Start creating a plan right from when you are crafting the idea. The plan should include: Who, What, Where, When, Why and How. Which audience do you want to engage with your competition? Is it for existing customers or new customers. Which countries, which groups? Define all of this and it will help you craft the idea into a really solid campaign. Here, we wanted to promote all of our social channels to our existing customers and to new customers. What is the prize going to be and what promotional material do you need to create to entice people to enter? We thought a prize that included travel, food, drink and accommodation would appeal to those in the hospitality industry! We had our designer create a fun poster and some social media graphics that were all on brand. We used these throughout the six weeks to promote the campaign. Where are you going to promote the competition? Online or offline? If you have collaborated with someone else, how will they help to promote it and where will they promote it? We teamed up with Irish Pubs Global to run this competition. We both promoted it online across all social channels and we encouraged staff to also share it on personal social media accounts. We also sent posters to a number of venues, including Irish pubs with Guinness taps. When will you start promoting it, when will it launch and when will it close? Choose dates that work well in your calendar and don't clash with other big events. We began the competition just before St. Patrick's Day. For us, this made sense given that it was a competition about a trip to Ireland, and involved Guinness beer! What is the end goal and the purpose of your competition? 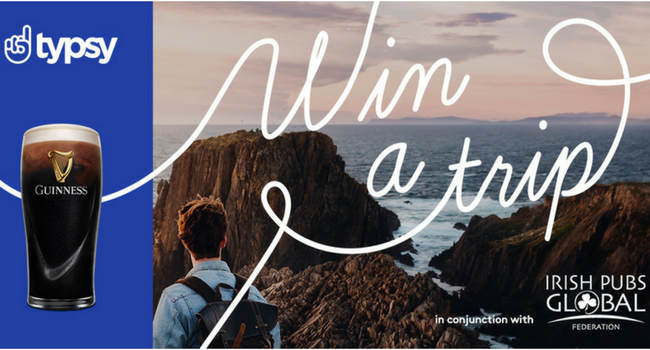 For us, we know that people in the hospitality industry work super hard, often long hours, so we wanted to reward one lucky person with a trip to Ireland. We also wanted more of our existing customers to see that we provide lots of helpful information on all of our social channels to support their learning. How will you implement it? How will you get flyers created? How will you measure success all the way through? How will you encourage people to talk and promote the competition? We initially determined a budget and decided on what the prize would be. We contacted collaborators to see who was interested in being part of the competition with us. On brand flyers with a clearly defined message were created. To ensure we promoted the competition effectively, we created a calendar for how often and where we would post and scheduled this through Hubspot. Once we launched the competition, we analyzed the visits to landing pages every week. From this we identified that we needed extra activity due to initially having very low entries. 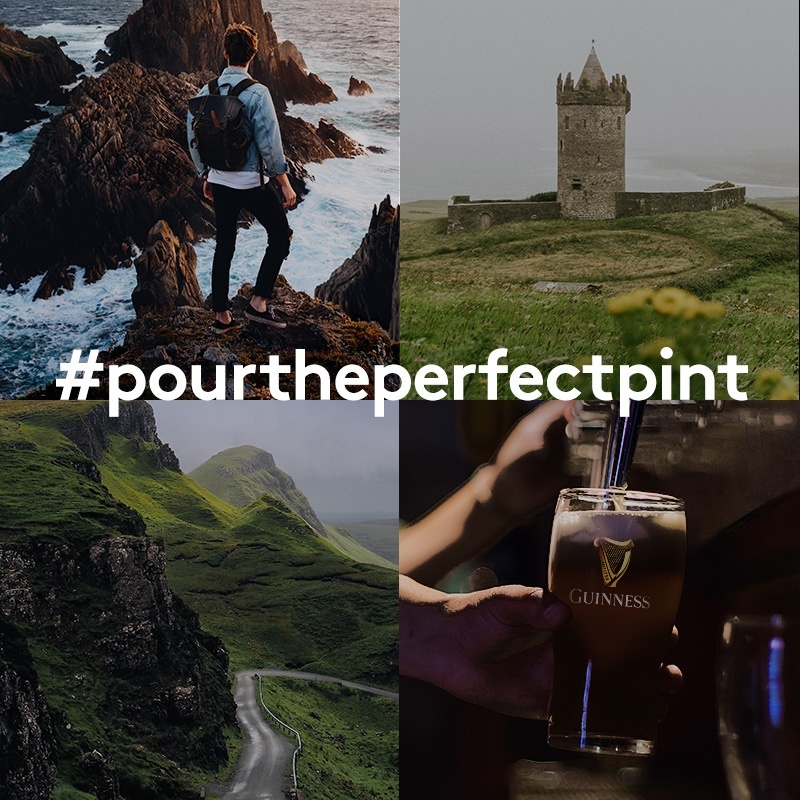 So, we engaged with people on their social media accounts, encouraging Guinness lovers, pubs, restaurants, hotels and cafes to enter. 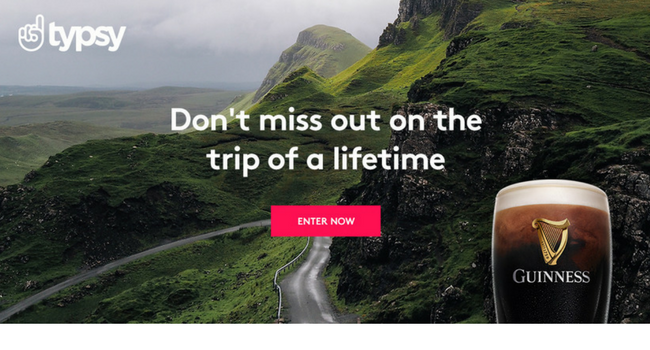 Before you go - you now know we haven't had many entries and the competition closes on April 30th, 2018. So get in quickly with your entries. Ensure you have watched the Guinness Course on Typsy and earned the certificate so you are qualified to enter. If you are having any trouble, let us know here. 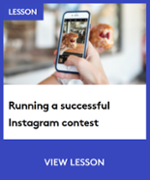 In this post, we explained some tips to run a successful online competition and have shared some of the things we learned from running one. We hope your competitions are a great success! Follow Typsy on Instagram and be part of our growing hospitality community.